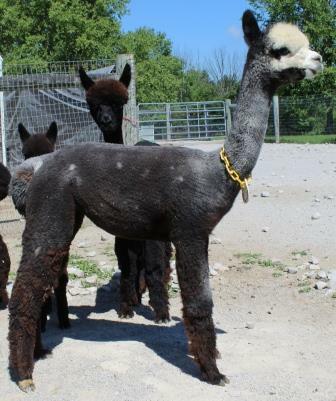 Silver Sovereign is a medium grey stud from the Fleecy Dale breeding program whose sire was Shaquille (a QuickSilver son) and dam Fleecy Dale Diamond's Tiara (out of CPeruvian Silvio and Diamonds are Forever). As highly regarded as Shaquille is, Tiara and her predigree were at least equally responsible for the qualities found in Silver's sire. 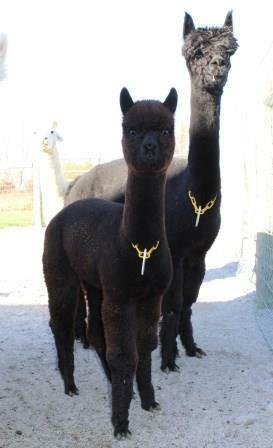 Silhouette is sired by out top medium brown stud, NorthCoast Valentino and her dam is NorthCoast Ebony Rose, a true black female. 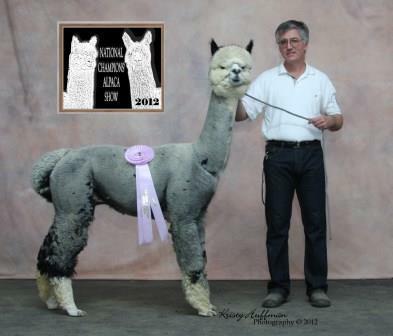 Valentino had produced many color champions and is known for stamping his cria with his high frequency crimp, which covers his blanket and up through his neck and head and low SD/CV resulting in very fine handling fleeces. 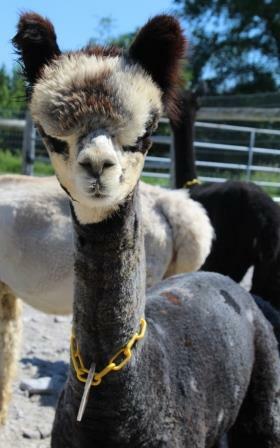 He is incredible to work with and does not require a halter and lead to walk him around the farm. Silhouette has retained an extremely fine handling fleece well into late maturity and I find her handle remarkable each year we sort and evaluate our fleeces. For this reason she will remain in our black breeding program. 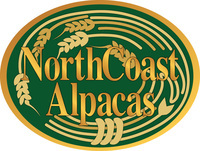 NorthCoast Silver Sovereign has been our best grey alpaca produced to date. 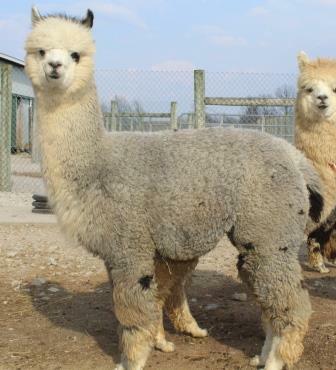 He is the whole package of gorgeous head, long/tall/elegant body; uniform silver grey coloration; fleece with long staple and high frequency, uniform crimp; excellent fineness (19.8 micron at 2.25 years of age), and a very engaging personality to boot. His pedigree is interesting as it contains well known grey studs Quicksilver, Shaquille and Silvio; Accoyo studs Leon, El Rey and King; and an incredibly fleeced Chilean female named "Diamonds are Forever" who was a Futurity multiple champion. It takes these kind of genetics to produce an impact herd sire and that is what we believe NorthCoast Silver Sovereign to be. His cria have hit the show ring and have made his sire proud including color champions. Nearly all of his offspring have been either silver grey or true black including out of light fawns from which he has produced both true back (out of a full Accoyo dam) and silver grey out of a light fawn dams. 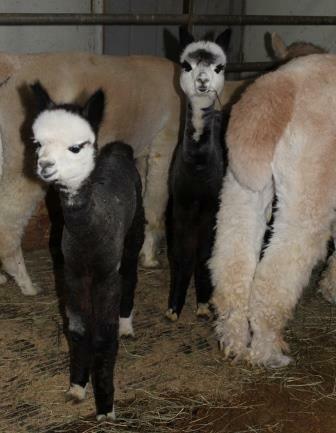 The cria fleeces are also quite uniform and very fine.